At Sure4orm, we use an extended range of light fittings, whether you are looking for a new ceiling or just replacement lighting, we can tender to your requirements. 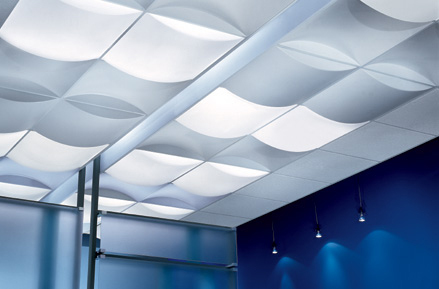 One of the solutions we offer is the recessed downlighting fittings, which is used with most modern fire protected ceilings. The intergrated self sealing design works to continue the fire rating of the ceiling without the use of firehoods and other covers that would be required with traditional downlights. Optimal lamp and luminaire performance with six large ventilation openings at the rear of the lamp housing. These are sealed under fire conditions with intumescent material. Under fire conditions, special intumescent material seals the downlight so that the fire rated ceiling Is maintained for its full rated duration. No fire hoods or other devices are required, saving considerable installation time and money.